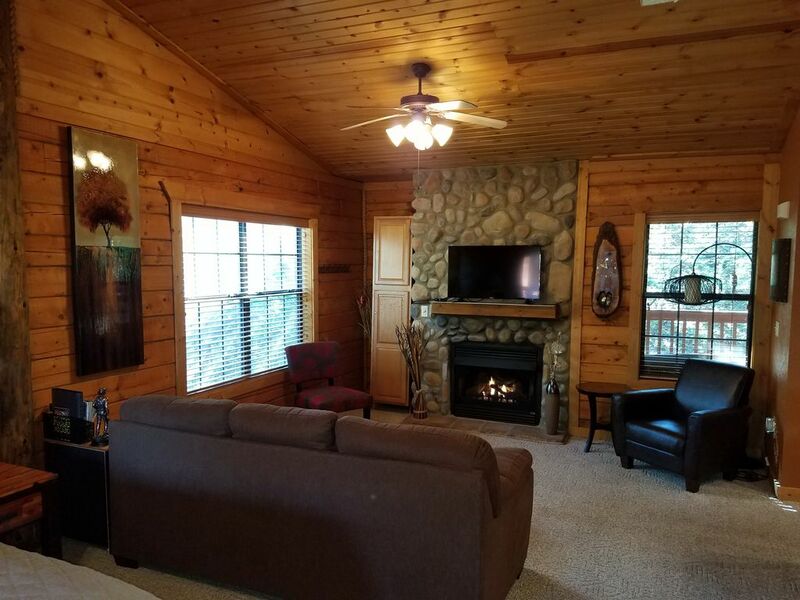 If you want to enjoy a wonderful staycation during spring season in the Ozarks, stay in Branson log cabin as this cozy accommodation offers every guest a convenient and comfortable accommodation in a secluded place. Whether you spend a wonderful stay with your family for pleasure or business, you can have all the perks that you need for any vacation in Branson. This fascinating accommodation is waiting right here in a place where you can always have the chance to enjoy the great outdoors in the area surrounded with unspoiled scenery, spectacular wildlife, and the picturesque Ozark Mountains. As you step into this beautiful log cabin accommodation at Thousand Hills Golf Resort, you’ll know you have chosen the right lodging place as it is fully equipped with high-end amenities such as free wireless internet access, cable TV with HBO, and DVD player. There’s no reason to feel bored in this comfy accommodation because those amenities can get you entertained at any time of day. There will be no problem also if you can’t go out for dinner when it’s raining outside because your cozy place is fully furnished with modern appliances such as fridge, microwave oven, dishes, pots and pans, and kitchen wares and utensils making it easy for you to cook your own food. Thousand Hills is one of the leaders in providing condo and log cabin rentals for more than a decade now to people who want to treat themselves a nice lodging place. Famous for hosting many world-famous artists, Branson has become a popular tourist destination in the Midwest where millions of visitors come to visit this place to enjoy world-class entertainment shows, exciting attractions, great fun activities, outdoor adventures, scenic spots, beautiful wildlife, and the spectacular views of the Ozark Mountains. Staying in a cozy Branson log cabin will let you experience a luxurious and comfortable way of living but with a reasonable price. All of Branson log cabins at Thousand Hills Golf Resort provide every guest a gorgeous way on enjoying luxury living. Each bedroom of every log cabin features superior quality beds with 100 percent cotton sateen, plush blankets, and comfy pillows. As guest of the resort, you can have the opportunity to play with the most popular 18-hole golf course in Branson. The great location of this lodging place near the golf course is one of the reasons why many guests want to choose this place. While this accommodation is near the heart of Branson, you can have easy access to world-class live entertainment shows, exciting attractions, and shopping and dining options at malls like Tanger Outlet and Branson Landing. After enjoying a full day of fun, you might want to visit the Historic Downtown Branson for more shopping and dining. Here, you will find an array of shops and restaurants that offer unique shopping items and delicious treats. If you want to treat your family a wonderful vacation this spring, book a cozy Branson log cabin which offers a convenient and comfortable accommodation in a secluded area.